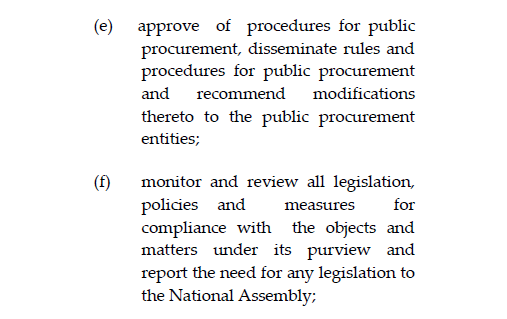 The Public Procurement Commission is an independent, impartial body, established under article 212W. 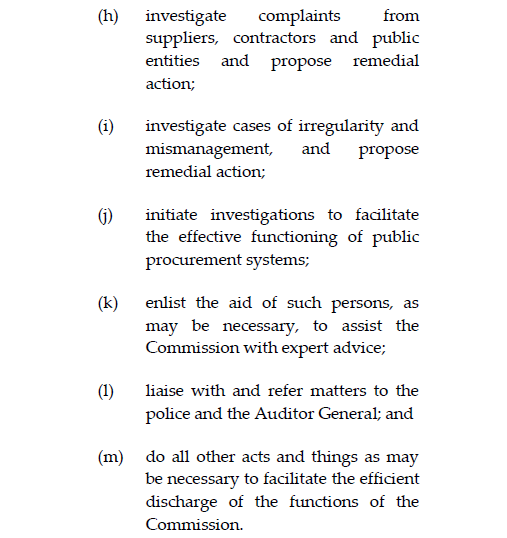 (1) of the Constitution. 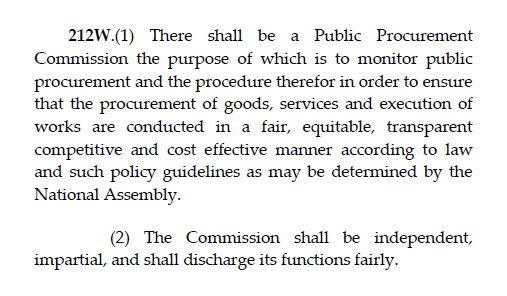 The Commission was first constituted on the 28th Day of October, 2016, when the first Commissioners were sworn in by His Excellency President David Arthur Granger. 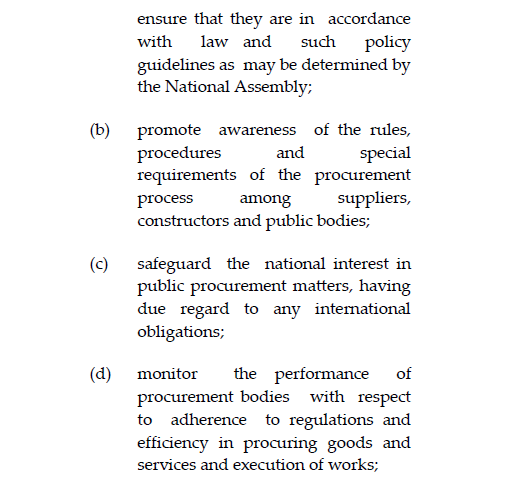 The key objectives of the Public Procurement Commission are as stipulated in Article 212W. (1) of the Constitution of Guyana.